Volkswagen, BMW and Daimler’s collective value rose about $7 bln after U.S. President Donald Trump seemed to relent on auto tariffs. It’s a minor victory. Transatlantic peace may not last, while Trump’s trade battle with China will still prove disruptive for the German trio. 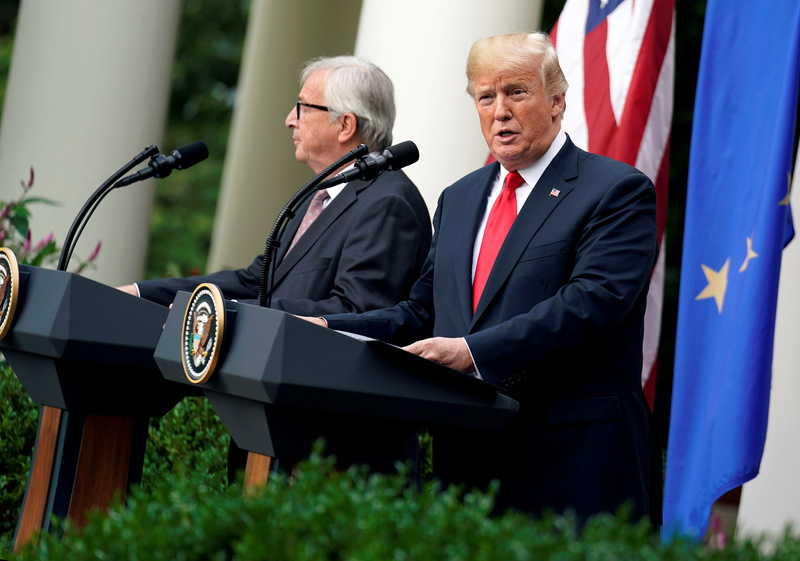 U.S. President Donald Trump agreed on July 25 to refrain from imposing further car tariffs on the European Union while the two sides launch negotiations to cut other trade barriers. After a meeting at the White House, European Commission President Jean-Claude Juncker said talks would seek to "resolve" U.S. tariffs on steel and aluminum and Europe's retaliatory duties. An EU official said there was significant pressure from Trump administration officials to increase EU soybean purchases as part of any trade deal, Reuters reported. Trump had previously threatened to impose tariffs on auto imports on national security grounds, potentially hitting European carmakers BMW, Daimler and Volkswagen. The German trio’s shares were up 3.6 percent, 2.7 percent and 3.6 percent respectively at 1345 GMT on July 26.